MANILA –A rice watchdog said the Duterte administration should learn from the lessons of more than two decades of liberalization of agriculture, and provide support to Filipino farmers to strengthen the country’s rice industry. In a dialogue with officials of the Department of Agriculture (DA) on June 28, Bantay Bigas gave a four-point recommendation to the DA, which include allocation of government funds to buy 25 percent of the local rice harvest, punitive measures for government officials involved in corruption, as well as providing sufficient support and infrastructure to farmers. 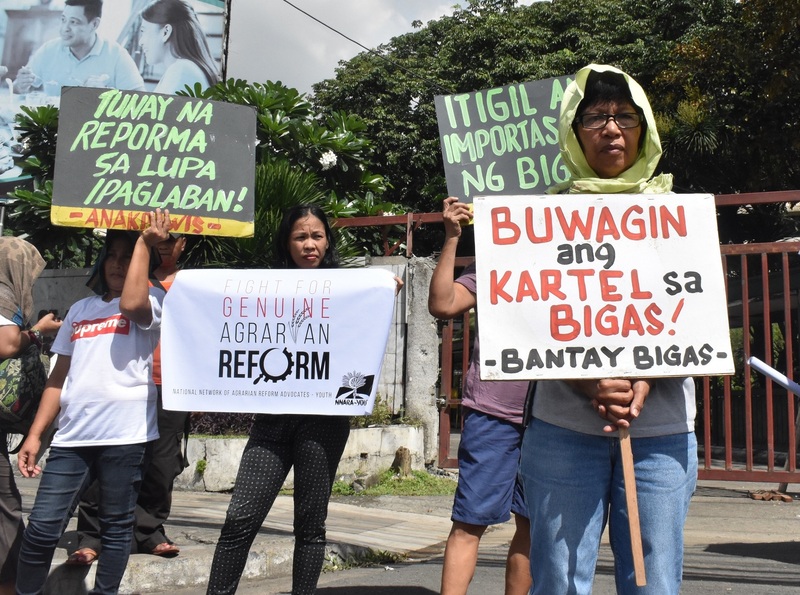 Bantay Bigas (Rice Monitor) is a multisectoral alliance composed of peasant and women leaders, science and technology advocates and environmentalists. The group said a key measure would be for the country to break free from impositions of the World Trade Organization (WTO), mainly on importation of foreign agricultural products. Danilo Ramos, secretary general of Unyon ng mga Manggagawa sa Agrikultura (UMA), said that ever since the government’s entrance into the WTO in 1995, the country slid down from an agricultural trade surplus into a deficit. “Dapat ho, natututo ang gobyerno sa karanasan (Government should learn from experience),” Ramos said during the dialogue. Ramos said the biggest barrier in achieving full rice sufficiency is the lack of genuine agrarian reform that will finally put land back into the hands of farmers, and not of landlords and businessmen. The International Rice Research Institute (IRRI), Ramos specified, did not only help Marcos institutionalize his Masagana 99 Program, but was also involved in land-grabbing incidents, as it displaced farmers in its base in Los Baños, Laguna to create its demo farms and rice laboratory. The IRRI is also immune from suit and essentially runs a “little kingdom” in the country, Ramos said. “Hindi po ang solusyon ay yung dikta ng mga dayuhan, o payagan yung mga imported na bigas (Following foreign dictates is not the solution, nor is rice importation),” he said. 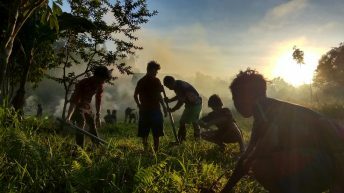 Angelito Lumapas, chairman of Pampanga farmers’ group Aguman dareng Maglalautang Capampangan (AMC) said that based on his own experience, and that of many other farmers in Pampanga, there is widespread misuse of government assistance and infrastructure meant for farmers. He said he and his colleagues have encountered cases of seed assistance from the DA delivered past their expiration dates. There were also incidents of irrigation canals diverted to supply water to landlords’ fish ponds, and landlords being prioritized over farmers in government grant of modern agricultural machineries. Zenaida Soriano, chairperson of Pambansang Pederasyon ng Kababaihang Magbubukid (Amihan), noted that transnational companies own a lot of land, and that the government’s stance in prioritizing industries jeopardizes food security in the country. 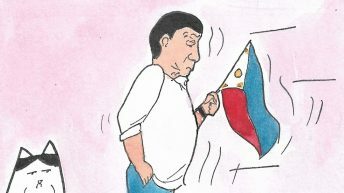 “Ito po, sa usapin ng pagkain ng buong mga mamamayan. 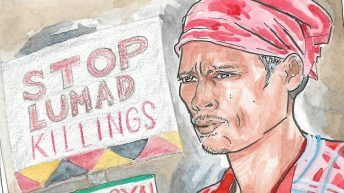 Hindi dapat yung negosyo yung ating pangunahing pagtuunan kundi serbisyo at yung pagtitiyak na mayroon tayong available na supply ng pagkain na nanggaling mismo at nililikha ng mga magsasaka natin (This is about food for everyone. Business shouldn’t be the main priority; rather, it should be service and making sure that we have food produced by our farmers locally),” she said during the dialogue. 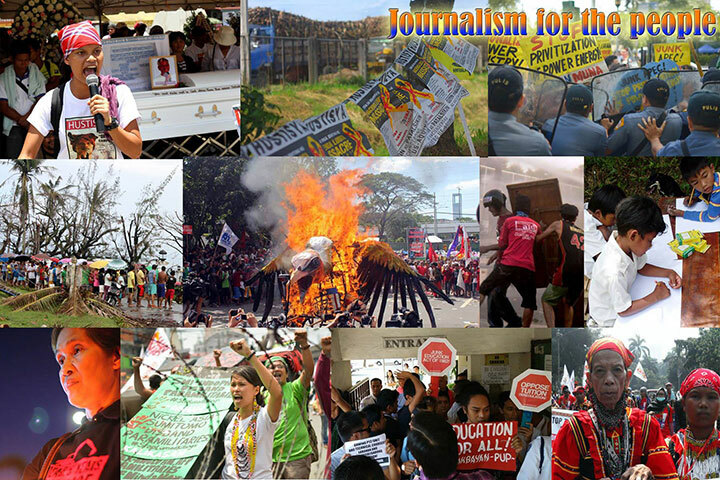 Soriano said scrapping policies such as liberalization, deregulation and privatization – neoliberal policies that put control of social services in the hands of foreign companies – would improve farmers’ situation in the whole country. Government funds will also be fully used to benefit rice producers if corruption is eliminated. “We see that if the government implements all these, all our problems about rice will be solved,” she said. In response to Bantay Bigas, Gregorio Tan Jr. a DA consultant and former head of the National Food Administration (NFA) said that the rice industry roadmap is still not finished because of the rapidly-changing realities of the rice industry, which means that it is always a work-in-progress. He did, however, said that one of the solutions seen by the DA in resolving the rice industry’s problem is to provide more technologies and loans for farmer, similar to what had been done during the time of ousted dictator Ferdinand Marcos, under the Masagana 99 Program. The Masagana 99 program had earned a slew of criticism from various environmental and farmers’ groups because it paved the way for many farmers’ eventual fall into debt, as well as its intensified use of chemicals in farming, which eventually lowered crop yields and left environmental damages in their wake. Tan also said there is a disagreement among Duterte’s Cabinet and economic managers over how to approach the problems of the rice industry. “Is self-sufficiency the correct objective? Or farmers’ profitability and competitiveness?” he said during the dialogue. “Self-sufficiency can become a byproduct or a third objective. Kapag competitive tayo, walang problema, to be competitive. Pero may problema, hindi tayo competitive pero subukan nating mag-produce ng sobra sa pangangailangan (Self-sufficiency can become a byproduct or a third objective. There’s no problem with being competitive. The problem lies with not being competitive, so let’s try producing more than we need. ),” he added. “Self-sufficiency doesn’t mean that we have to produce everything domestically,” Tan said. Tan also said farmers must not bear the burden of being competitive alone, and that the NFA is important because they can regulate middlemen who often earn more than what farmers do. Noel Padre, acting director of the DA’s Policy Research Service (PRS), said the official stand of Agriculture Secretary Emmanuel Piñol and the agriculture department is to seek for a waiver that will allow the extension of the quantitative restriction (QR) on rice importation, which expired June 30. However, other Cabinet members opposed their stand, and the final decision was not to renew the QR, Padre said in the dialogue. Bantay Bigas has earlier expressed concerns over the lifting of the QR on rice importation. The QR allows the government to limit the volume of rice importation every year as per the Philippine government’s Agreement on Agriculture (AoA) with the WTO. Tan clarified that President Duterte’s Executive Order (EO) 23 and the QR on rice importation are different. “Ibig sabihin nito, na in case na mag-taripa tayo, tanggalin yung QR, we are allowed to continue with the QR instead of tarrifying, for another five years. 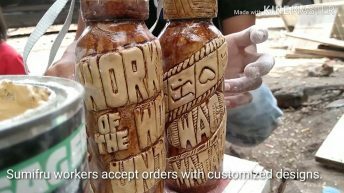 Ang hiniling naman nila (WTO), may mga concessions, ito yung nasa EO 23. May mga ibang taripa sa karne na pinababaan, taripa sa mga ibang prutas, gatas (In case we impose a tariff and remove the QR, we are allowed to continue with the QR instead of tarrifying, for another five years. The WTO asked for a few concessions, which were provided in EO 23. Some tariffs were lowered, such as in meat, fruits, milk),” he explained. “Pakita na ‘di naman tayo balasubas na wala na tayong waiver, binawi pa natin ang concessions (It’s to show that we’re not so rude as to take away the concessions even if we already have no waiver),” he said. “The bottom line is, we still have the QR, and it will stay until the law gets repealed,” he added. Feny Cosico, secretary general of the Advocates of Science and Technology for the People (Agham) noted that some countries, like Vietnam and Thailand, which were previously large importers of rice from the Philippines, has now become some of the world’s largest exporters of the said commodity. 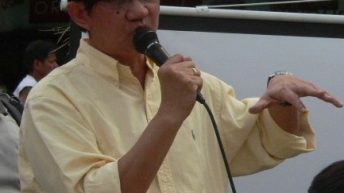 In response, Tan said there must be an “inward-looking reflection” into the country’s rice production capabilities, noting that Vietnam and Thailand have much larger arable land than the Philippines, with large rivers and a generally-cooperative climate all helping to facilitate better rice yield. Data from the United Nation’s Food and Agriculture Organization (FAO) shows that Vietnam has around 6.4 million hectares of arable land, while Thailand has around 16.8 million hectares of land suitable for farming. The Philippines, meanwhile, has 5.5 million hectares of arable land. “Can we make the limited area that we have…more productive, and how do we go about it?” he said. Tan also said the Philippine’s ever-growing population puts strain on an already-overstretched industry. 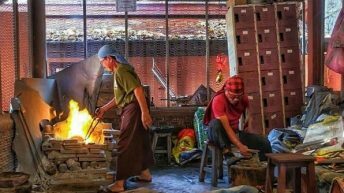 The total population of the Philippines, according to the latest data from the Philippine Statistics Authority (PSA), stands at around 100 million to 105 million; according to United Nations data, Vietnam’s population is at 94 million, while Thailand’s is at 64 million. “It looks like at least in the meantime, we would have to reckon with importation as a way of supplying our needs and demands. How to do that so that it will not greatly disadvantage the farmer is the key question,” he said. The DA officials said that the department will still take into consideration the recommendations submitted by Bantay Bigas.